Is In-Office Philips Zoom Teeth Whitening Right for You? Thinking about whitening your teeth? You’re not alone. In a survey, the American Association of Orthodontists found a whopping 90 percent of patients ask about teeth whitening. If you’re after a whiter, brighter smile, you have several options, from whitening toothpaste and at-home whitening strips to professional deep bleaching. How do you know which product or procedure is right for you? At Eggert Family Dentistry, our patients often ask what their teeth whitening options are and if the at-home strips are a good option. While teeth whitening strips are possibly less expensive, easy to buy, and require no appointment, you do get what you pay for. Whitening strips can cause tooth sensitivity, irritate your gums, and are not effective at removing stains with gray or brown undertones. 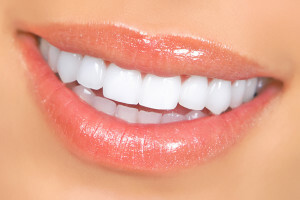 We offer a variety of teeth whitening and bleaching options at Eggert Family Dentistry, including professional strips and whitening trays that are gentler on your teeth and gums and more effective than what you can buy at the drugstore. But one of our favorite options for fast and effective teeth whitening for most people is the Philips Zoom Teeth Whitening system. Our patients love the immediate results they see from their single, 90-minute appointment at our office. It is common for the Zoom system to lighten teeth 4 to 10 shades. We love the Zoom Teeth Whitening system because it is very safe for our patients. Also, with the new LED light, there is virtually no sensitivity, unlike most over-the-counter options. The Zoom system is gentle on your smile and adjusts in intensity for your comfort. We are excited to offer to the first 15 patients to respond to this link a free whitening consultation. If it is determined that you are a good Zoom candidate, you will be able to experience the Zoom Whitening system for HALF OFF at only $300 (normally a $600 value). Hurry! This offer expires May 15, 2017. Ready to show off a whiter, brighter smile? The dentists at Eggert Family Dentistry can help! Contact us today to schedule your consultation. Previous Previous post: Comprehensive Care at the Dentist’s Office? We Think It’s Important. Here’s Why. Next Next post: Think Before You Gulp That Sports Drink!